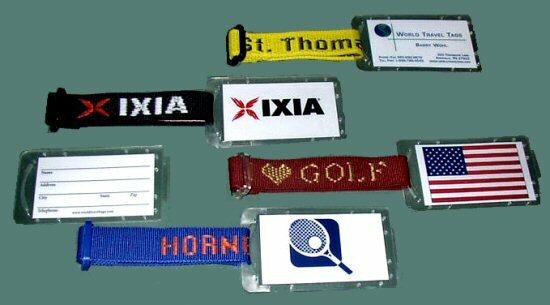 This tag consists of a nylon strap attached to a plastic pouch; both of which can be imprinted. The plastic pouch is clear and will accept insertion of a standard size business card. The nylon strap makes it easy to attach the tag to any suitcase, bag, or briefcase.